Urinary stress incontinence occurs when an activity, such as coughing or sneezing, causes a small amount of urine to leak from the urethra. Stress incontinence is most commonly suffered by women who have given birth, but it is also a natural result of aging. This simple, non-invasive procedure using Platelet Rich Plasma is proven to alleviate stress urinary incontinence. As a board-certified urologist, Dr. George Ibrahim has over 25 years experience treating problems such as urinary incontinence. 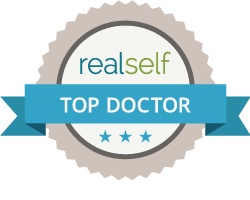 He was the first physician in Western North Carolina to do this procedure using the patients own growth factors. The results have been truly stunning! Psst…It also dramatically improves sexual response!